We are all members of one human family, and the breakout sessions during the World Meeting of Families aim to reflect this spirit of unity and diversity, particularly in two of the sessions for Friday morning, Sept. 25, the final day of the congress. 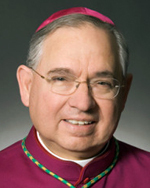 One such speaker that morning (11:45 a.m. to 12:45 p.m.) is Archbishop José H. Gomez of Los Angeles, the largest community of Catholics in the United States. In his session “Give Me Your Tired, Your Poor…” he will put faces and stories to the current hot-button issue of immigration. Archbishop Gomez will speak about not only for the 4 million Catholics he serves and the 40 languages spoken in his archdiocese, but from his own personal experiences as an immigrant from Mexico and a naturalized U.S. citizen. In his session the archbishop plans to explain the brutal impact of America’s broken immigration system upon families and children. And he will explain why humane immigration reform is so much needed in America. The author of several books including “Immigration and the Next America,” “Men of Brave Heart: The Virtue of Courage in the Priestly Life” and “A Will to Live: Clear Answers on End of Life Issues,” his writing has also appeared in L’Osservatore Romano, the New York Post and Notre Dame Journal of Law, Ethics and Public Policy, among others. Though Archbishop Gomez will speak on immigration and the need for greater compassion, so too will Suzy Ismail — but from the perspective of interreligious dialogue. A motivational speaker, author, instructor, consultant and a devout Muslim, Ismail will present “To See the Other Side”: An Interfaith Call to Service” on Friday morning (11:45 a.m. to 12:45 p.m.), Sept. 25. Just as the Catholic faith teaches the value of maintaining positive family relationships, so does Islam, she believes. Ismail has written several books on the subject of faith and marriage, including “Modern Muslim Marriage,” “9 to 5”, “When Muslim Marriage Fails” and “The BFF Sisters.” She is also a visiting professor of communication at DeVry University and the curriculum developer and lead instructor at the Center for Muslim Life. She has conducted presentations on topics such as “understanding diversity, increasing self-image and confidence through creative writing and presenting, learning how to write creatively, and on a variety of interfaith topics and a multitude of Islamic issues that range from marriage to unity to women,” according to her website. 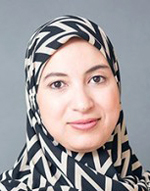 Ismail will discuss in her session the importance of strong marriages, no matter what religion, and explore how to nurture these values from the beginning of a relationship. She will also speak about what the Muslim community in the U.S. is doing to achieve these goals, as well as how to promote dialogue between people of different faiths and work toward a common goal. Both sessions promise to foster dialogue for the important religious issues of today.